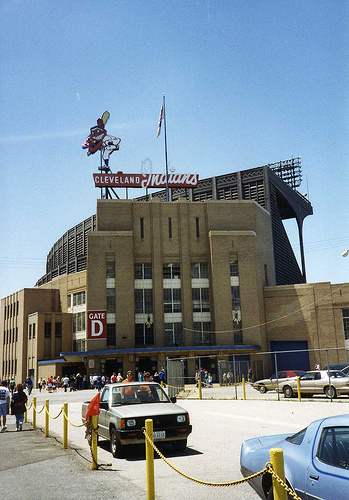 Home of the Cleveland Indians for 61 years, fans of the team were ready to move out of the “Mistake by the Lake” in 1993. 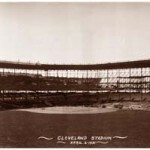 The idea for a new stadium in Cleveland was first mentioned in 1903. 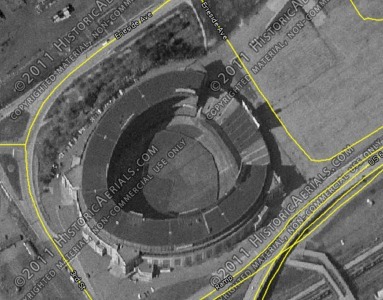 By the 1920s a 25,000 seat stadium was proposed. However, Osborn Engineering designed a much bigger stadium that could house many activities. 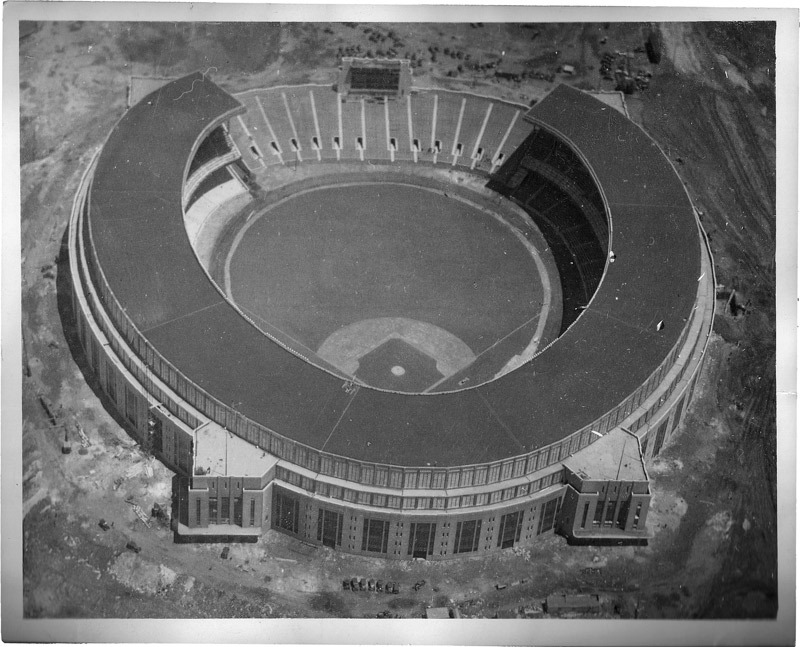 In 1928, a $2.5 million bond was issued by the city to build the stadium. 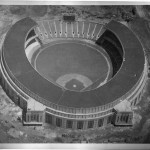 It became the first stadium built using public money. A landfill full of old used cars and tires near Lake Erie was chosen as the site for the stadium. Groundbreaking was held on June 24, 1930. 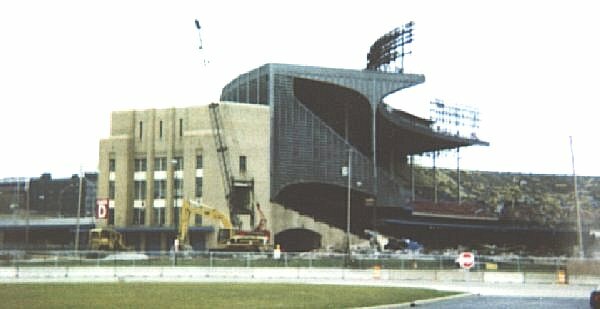 Constructed of steel and concrete, the stadium became known as Lakefront Stadium. The stadium was not constructed as an attempt to get the Olympics in 1932 because Los Angeles had already been chosen to host the games. 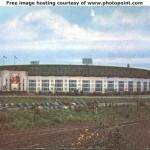 Lakefront Stadium was completed by July 1, 1931. The first event was held two days later. 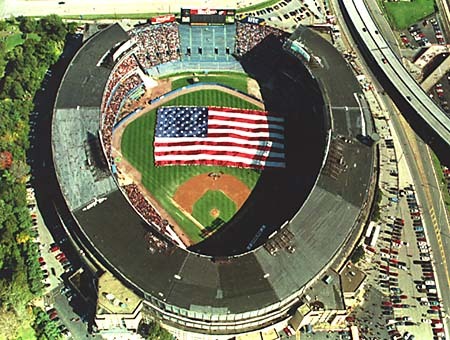 There was one problem after the stadium opened, it had no baseball tenant. 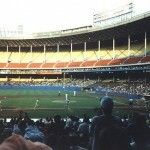 The Cleveland Indians, playing at League Park, were happy that a new stadium was being built. 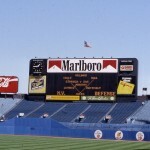 However the city did not sign the team to a lease before the stadium opened. 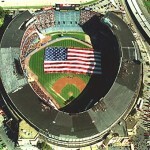 This allowed the Indians to negotiate a favorable lease. 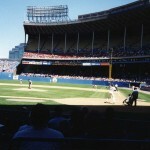 The first Cleveland Indians game at Lakefront Stadium was on July 3, 1932. When the team stepped onto the field players saw an enormous stadium. 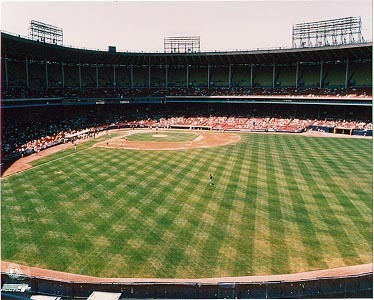 Lakefront Stadium had a capacity of 78,189. 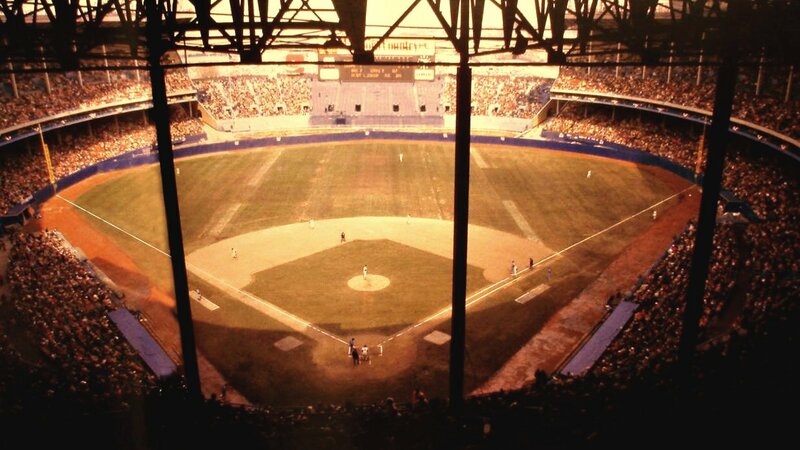 The stadium consisted of a covered double-decked grandstand that extended from behind homeplate, down and around the foul poles to an uncovered section of bleachers in the outfield. There were 37,896 seats in the lower level, 29,380 seats in the upper level and 10,913 bleacher seats. 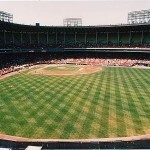 Lakefront Stadium became a pitchers park because of its size. Original dimensions were 322 ft. (left and right), and 463 ft. (center). 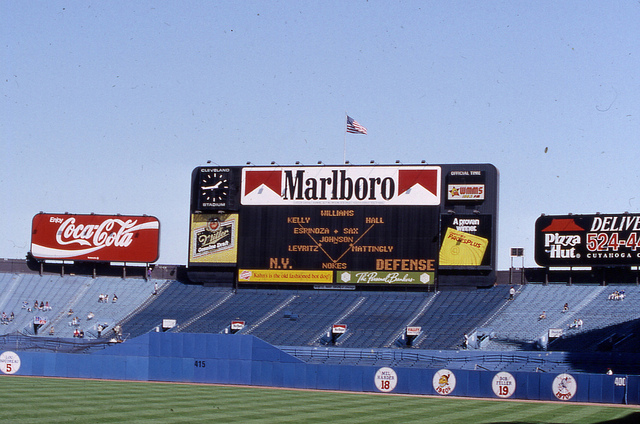 The stadium also had lights, a sound system and a scoreboard behind the bleachers in centerfield. 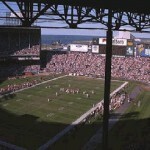 Lakefront Stadium also became home of the Cleveland Browns (NFL). 348 strikeouts by Bob Feller in 1946. 500th career homerun by Ted Williams on June 17, 1960. Team record 111 wins in 1954. 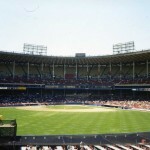 Initially, the Indians attracted huge crowds to Lakefront Stadium but that soon changed. 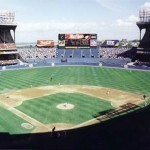 Because of the size of the stadium, when the Indians attracted only 20,000 fans, it looked as the stadium was empty. 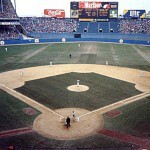 The Indians played at the stadium full time until the end of the 1933 season. 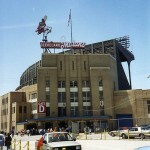 From 1934 until 1946, the Indians played at League Park during the weekdays and played at Lakefront Stadium during the weekends and holidays. 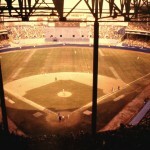 The lights that had been installed when the stadium opened were never used for baseball. 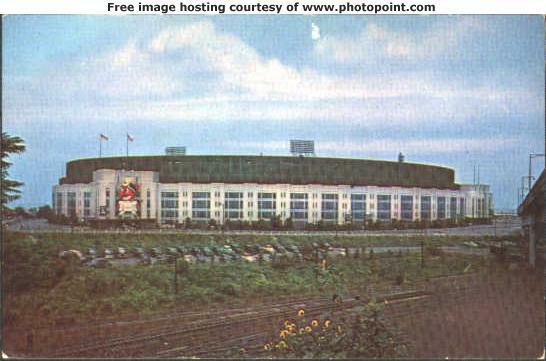 Modern lights were installed in 1939 and the first night Indians game was on June 27, 1939. 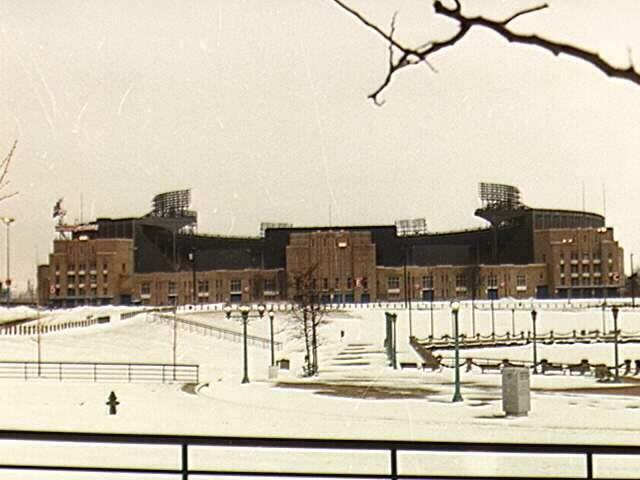 After the 1946 season, the Indians moved all of their games to Lakefront Stadium. 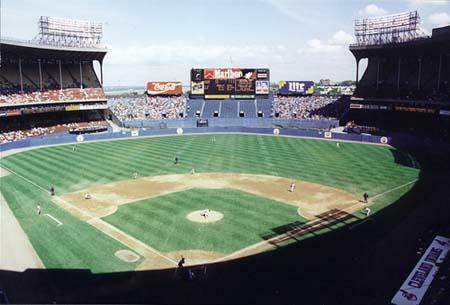 Once the Indians made Lakefront Stadium their permanent home it became known as Cleveland Municipal Stadium. 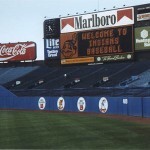 In an effort to make the stadium more hitter friendly, a fence was erected in front of the outfield shortening the dimensions to 321 ft. (left and right) and 410 ft. (center). A standing room area was behind this fence. 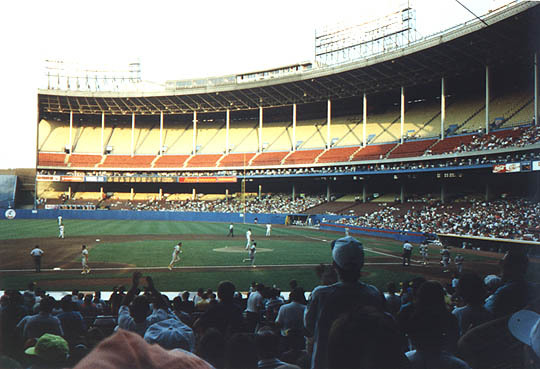 During the remainder of its existence as a baseball stadium, Cleveland Municipal Stadium housed some very good and bad teams as few changes took place. 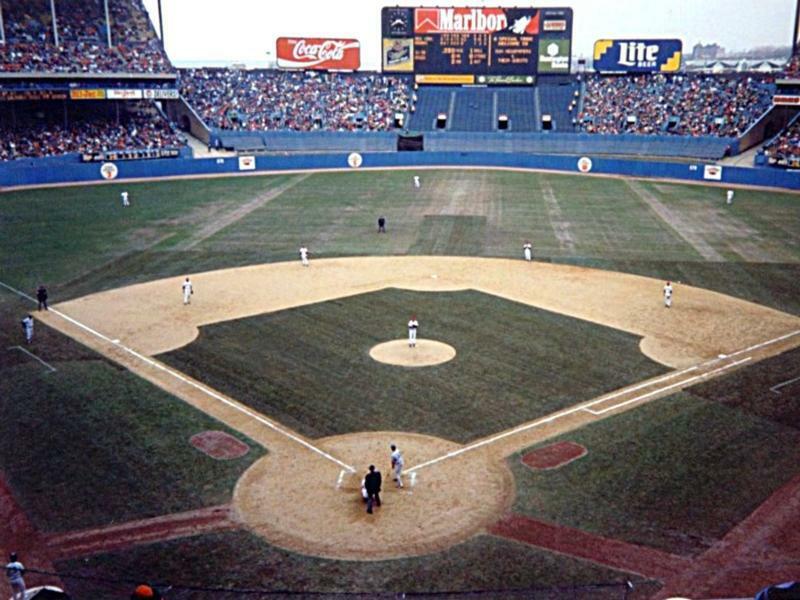 Two renovations occurred in 1967 and 1974 when the original wooden seats were replaced by plastic ones and a new scoreboard replaced the old one. 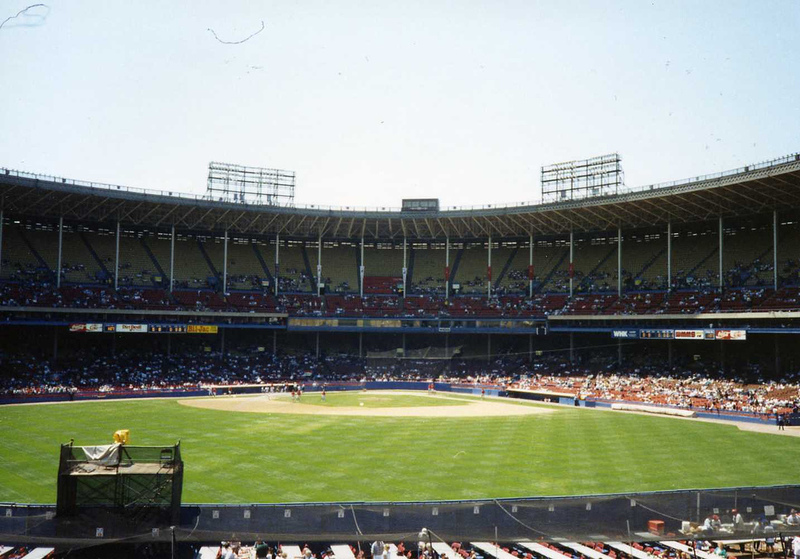 During the 1980s and early 1990s the Indians were a terrible team and attendance was low. 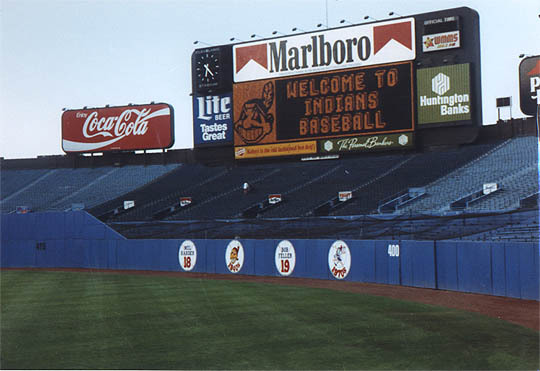 In 1985, Richard and David Jacobs bought the Indians and began to lobby for a new stadium. Voters approved a bond and a new stadium for the Indians was built in downtown Cleveland. 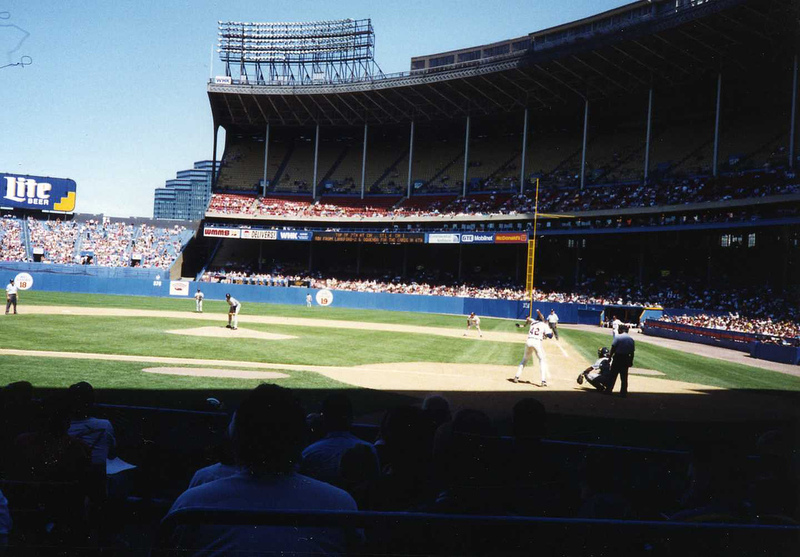 The last Indians game at Cleveland Municipal Stadium was on October 3, 1993 and the team moved to Progressive Field the following season. 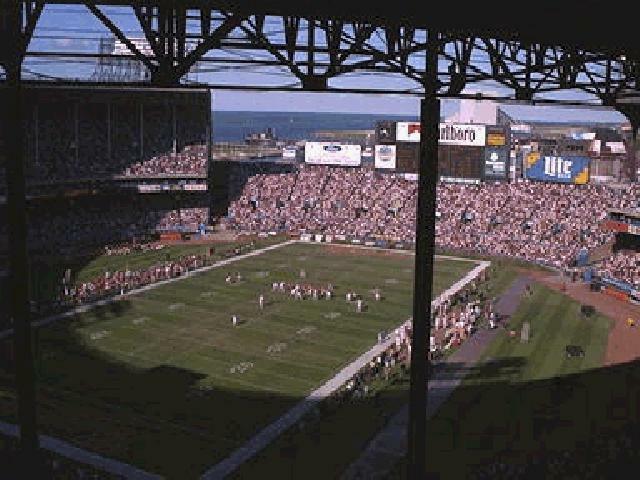 The Cleveland Browns (NFL) played at the stadium until 1995. 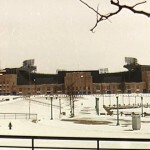 It was demolished in November 1996 after the Browns moved Baltimore. 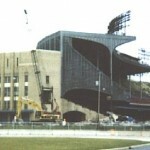 A new stadium was built for the expansion Cleveland Browns on the same site of Cleveland Municipal Stadium. FirstEnergy Stadium has been home to the Cleveland Browns since 1999.